Farmhouse Reclaimed Wood Trestle Bench 83"
Create a unique home decor with Zin Home's affordable, eclectic, industrial style, contemporary and modern furniture collections for every room. Discover the unique design and function with well crafted furniture that represent you and your view of life. Whatever your style—eclectic, modern, contemporary, rustic or traditional—find living room, dining room, bedroom, kitchen, bathroom, office, outdoor living and more. Whether you update your home or shop for a new house, apartment, townhouse, loft or condo you'll find everything you need at Zin Home. You deserve a comfortable living room or family room because it is where you relax after a day of hard work. Create a stylish living room decor, curl up on the sofa or on new sectional, stretch your legs on the ottoman or on the accent chair, have a glass of wine or play games with your family on the coffee table. Choose one of our unique end tables and media stands to hold your drinks and your TV. Have Kids and pets? You worry of the lifespan of your new furnishings, choose our eco-friendly and kid friendly, solid wood furniture, leather and upholstered furniture. Need Inspiration? 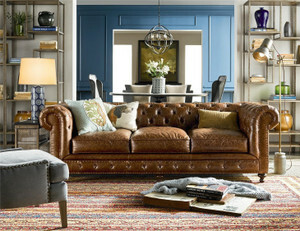 Checkout our worldly curated living room decor ideas. Get socialized with your family, kids and friends. Gather around a dining table, pull up some comfortable dining chairs and benches, prepare your food on a nice buffet sideboard, host your guests, offer them a drink on your new stylish bar cart. Create a dining room that shows off your taste and hospitality. 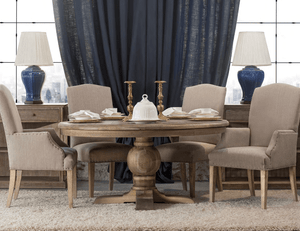 If you’re having trouble making a decision, choose from one of our dining room sets or get inspired by our dining room ideas. Bedroom is a sanctuary, a place to relax rejuvenate our bodies and minds after a long day. We spend a third of our lives sleeping, so create a comfortable bedroom you truly deserve. Choose one of our luxurious platform or panel bed frames—wood or metal —choose a matching dresser and an armoire to maximize your space and keep it organized. Add a nightstand and a bed end bench for some convenient seating. 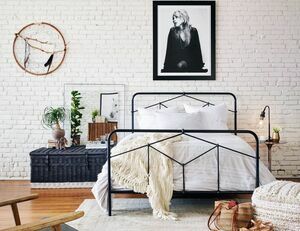 Check out our artfully curated bedroom design ideas to find inspiration to ultimate relaxation. A lot of us work from home these days, although convenient, working from home has its own challenges. 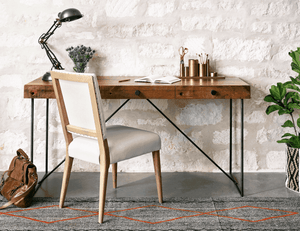 Staying organized is a necessity to keep being productive at your work, so having the right home office furniture is crucial. Choose one of our writing desks, computer desks, drafting desks or work stations add a nice comfortable office chair that doesn’t strain your back. Be organized, add a filing cabinet and bookcase to complete your home office decor, take a look at our home office design ideas for inspiration.